Struggling to grow your audience online? Learn how to use YouTube Live to get the attention you need to get your message out there and grow your business! It can be a challenge to grow your audience online with all the competition out there - and I'm sure you're well-aware of that! You have to try new things and put yourself out there. Whether you want to do a webinar, an online conference, show people how to do something or just talk to your fans, YouTube Live is becoming the go-to platform for getting it all done. What’s more is that just like creating YouTube videos, it is easy and almost anyone can do it for any audience. Live video is becoming super important for anyone who wants to build a strong business online. 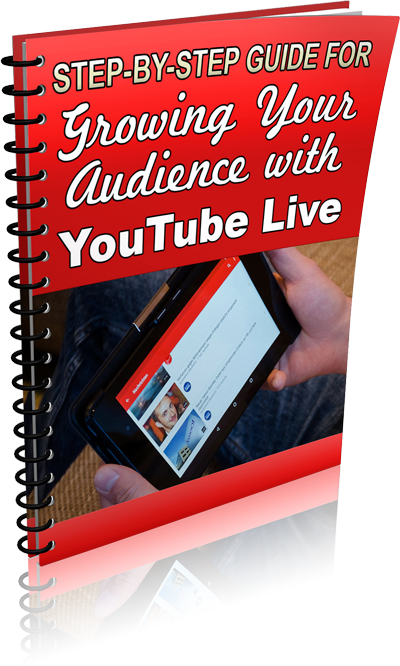 This report will walk you through step-by-step how to use YouTube Live to grow your audience online. Learn how to use YouTube Live to grow your audience online. Grab this guide now. Simply click 'Sign Me Up!' below to instantly receive your guide right away. Ir your first name and email address above and get the help you need to get started. Here's to Your YouTube Success!